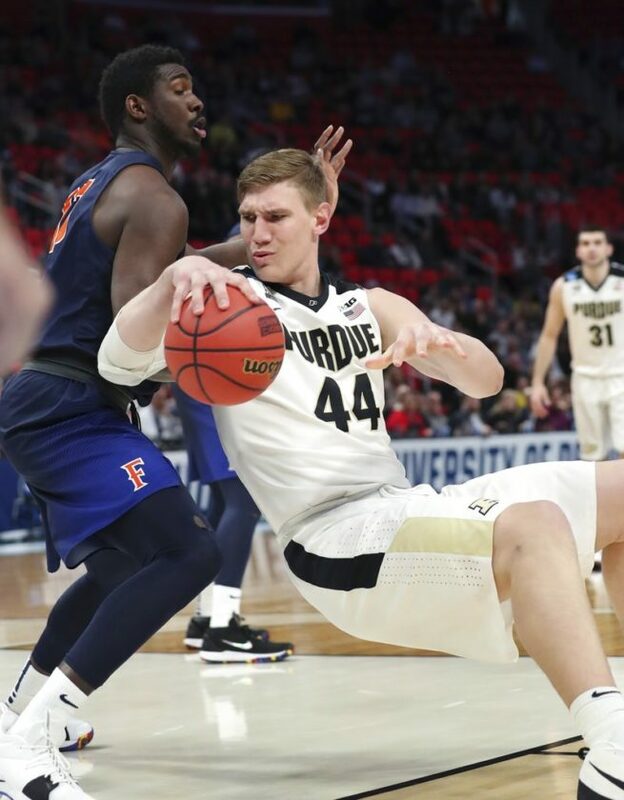 DETROIT — Purdue head coach Matt Painter has announced that senior center Isaac Haas will miss the remainder of the NCAA Tournament with a fractured right elbow suffered in Purdue’s 74-48 first-round win over Cal State Fullerton. #Purdue announces Isaac Haas will miss the remainder of the season with a fractured right elbow. Just a devastating loss for the Boilermakers and Haas. Purdue's Isaac Haas is out for the season with a fractured elbow, per release. AWFUL news.